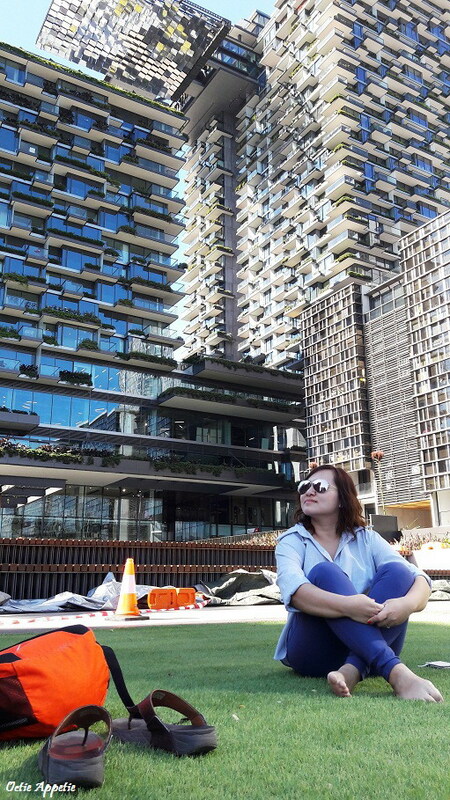 After 2 years, I haven't been back to Sydney. There are lots of things changed. It is definitely more food, both traditional and fusion food. What a great thing to be back, although only for a week. 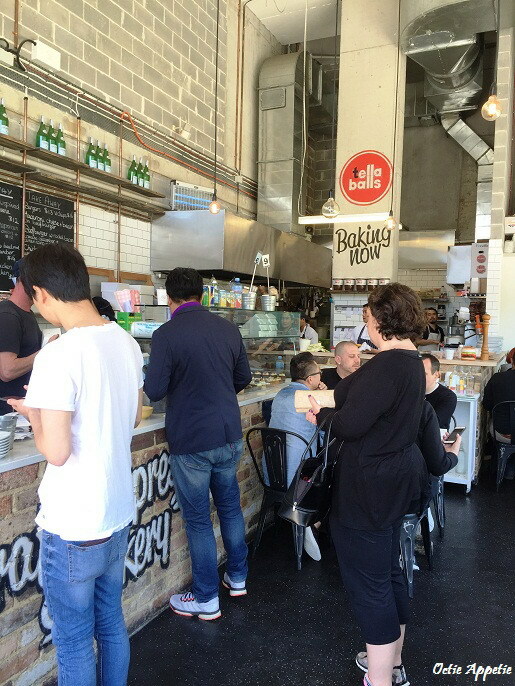 Since I moved to Thailand, I had realized that I missed Sydney food so badly. I used to take them for granted. In this a week, most of my time was spent with family, therefore eating out was only countable. I tried to squeezed in one week the food that I missed with the new food I want to try. I left Sydney before the hits of this tella-thingy things. By now, probably everyone already know and try one of this. 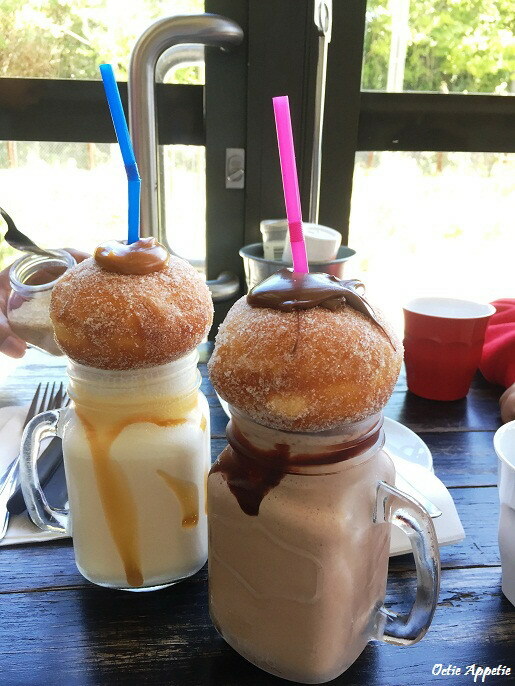 This is basically milkshake drink topped with doughnut balls (nutella, salted caramel, vanilla or strawberry). Having just one full glass of this, my sugar level was rising up and I became a little hyper after that. But taste wise was yummm. 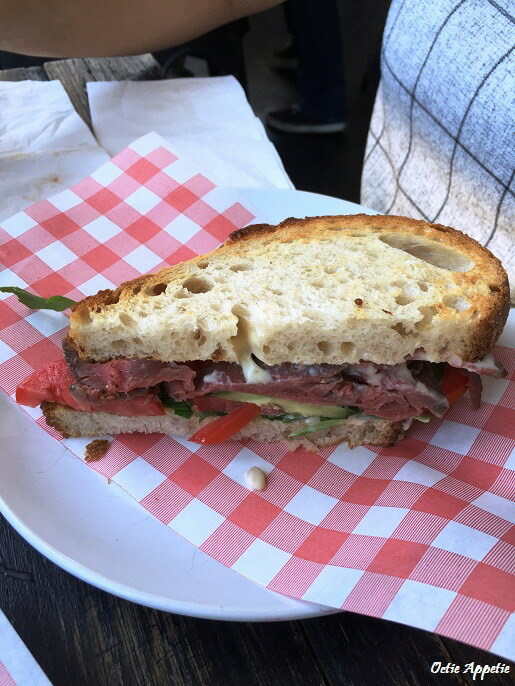 They have a nice steak sandwich as well, made fresh in the shop. and Mango yuzu $10.50, Mango mousse with yuzu curd. For me the desserts in KOI Dessert Bar just a little over rated. It was a good dessert but it wasn't reach to the point where it is great. Nice names and creative colorful looking cakes. Price-wise, I won't complain about that, although lots of people said that it is over-priced. But for me, more like paying for creativity and quality ingredients. But the taste didn't reach my expectation. Especially with that famous moss cake, so many things were going on in this tiny jar but they didn't compliment each other so well.